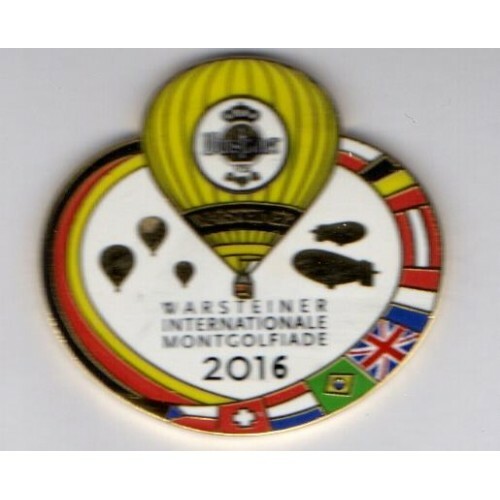 WARSTEINER INTERNATIONALE MONTGOLFIADE 2016 NATIONS HOT AIR BALLOON PIN , 6 COLOURS WITH RAISED GOLD ARTWORK, FLAGS AND WARSTEINER INTERNATIONALE MONTGOLFIADE 2016 TITLES. LIMITED EDITION OFFICIAL EVENT PIN NO. 442 OF 500 MADE. STAMPED REVERSE.